This category includes hand thrown pottery mugs in 5 styles, and handmade stoneware juice cups, and tall glasses in 9 glazes. SWD Pottery Works makes hand thrown stoneware pottery plates. There are 3 sizes and 6 glazes available. 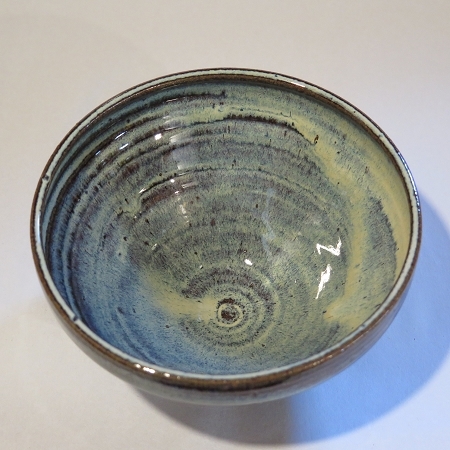 This category includes hand thrown stoneware bowls, batter bowls, colanders, and soup bowls in 6 to 9 glazes. This category includes 2 sizes of both hand thrown pie pans and handmade casseroles in 6 glazes. There are 2 sizes of hand thrown stoneware pottery pitchers available in a choice of 9 glazes. These hand thrown stoneware pottery garlic pots are available in 9 glazes. There are 2 styles of handmade stoneware pottery creamers and 1 style of sugar bowl/honey pot available in 9 choices of glazes. There are both handmade hanging planters, and hand thrown standing planters available in 6 glazes. This category includes both handmade pottery utensil holders available in 9 glazes and hand thrown stoneware spoon drips available in 6 glazes. These handmade soap dishes come with a liner dish to catch the drippings. They are available in 6 glazes.